Sophie Turner is the British actress who has earned her global fame due to her role of Sansa Stark in the popular saga Game of Thrones. Turner has been nominated for the Screen Actors Guild Award five times. The would-be star was born in February 1996 in Northampton. She spent the first two years of her life in Northampton, the administrative center of the county. Together with Sophie, her twin sister should have been born, but the girl died in the mother’s womb. In a while, the family moved to Warwickshire. There were no actors in Sophie’s family. The mother worked as a teacher in a kindergarten for children with special needs, and the father managed a small agribusiness company. Sophie was the youngest child; she had two elder brothers who protected their sister and always engaged her in their boys’ games. Turner called that time carefree and cheerful. There were barns, enclosures, and pigsties near the house, and the children never missed the chance to dig in the dirt. When Sophie turned three, the mother took her to the Playbox Theatre Company where the artistic atmosphere prevailed. Young actors could develop there freely, and old patterns of acting were never imposed. When Sophie was a secondary school student, she joined the school drama club. The actress tenderly remembers the early impressions: the amateurish performance “The Wizard of Oz” where the girl got the role of Scarecrow. Later, the 11-year-old girl transferred to the independent King's High School for Girls. The school also had an acting club, and Sophie did not hesitate to join it. Young actors gave performances in the local theater Playbox; on this stage, the future star’s career began. One day, the acting teacher informed the girls about the auditions for the new TV project. 15-year-old Sophie set her heart upon this challenge and went to the auditions. She was selected for the role of Sansa. At that time, Turner met Maisie Williams, the young actress who got the role of Arya. They made friends from the first days of work. Today, the actresses continue to spend their free time together; Sophie often posts the photos of Maisie on her Instagram page. It was the popular series Game of Thrones that brought the actress the first success and earnings. This project turned out to be one of the most large-scale series in the history of cinematography. Sophie Turner did not mind having her blonde hair dyed: the red color completed the image of Sansa Stark. The actress kept this wonderful color for a long time. However, when the sixth season was being made, Sophie had to wear a wig because of the poor results of dying. 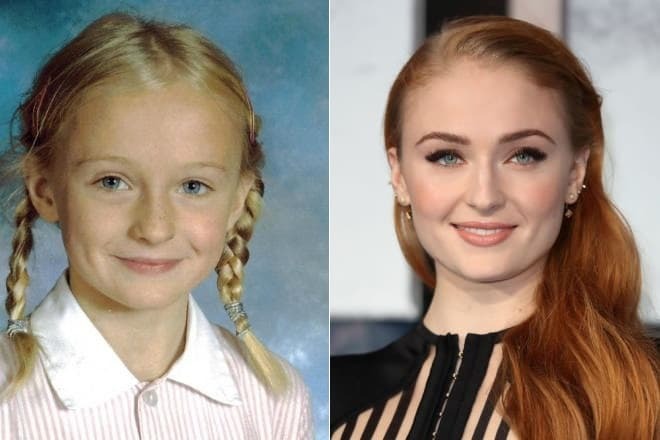 As soon as the TV series came out, the young actress obtained not only the love of millions but also the financial independence: Sophie Turner bought a small apartment in the center of London. Turner was so busy on the movie set that she had no opportunity to study; she had to finish school online. 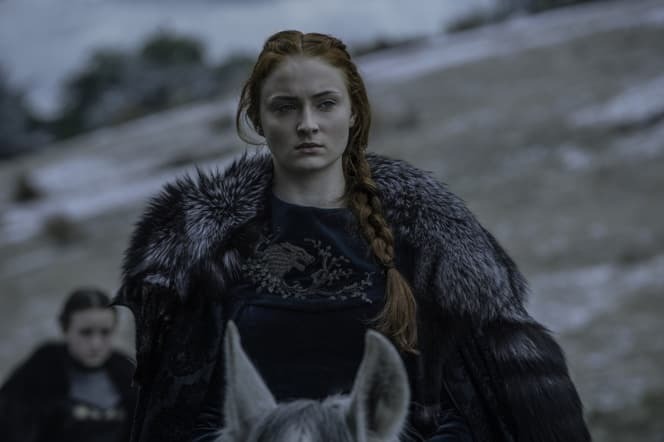 Although the actress’s career is flourishing, Sophie does not want to stop learning: she plans to continue her education at the university and study history or psychology. 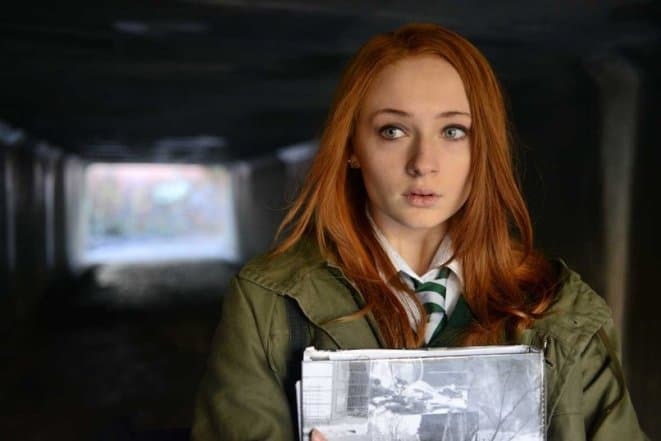 2013 brought Sophie the new wave of popularity: the young woman starred in the thriller Another Me and the mysterious drama The Thirteenth Tale where she played Adeline. Both movies introduced the stories of the twins: Sophie could relate to this theme. In 2015, Turner continued to develop her career and starred in the popular action movie Barely Lethal. Hailee Steinfeld, Jessica Alba, and Samuel L. Jackson became Sophia’s partners. Walking on the red carpet is the only thing the young actress dislikes about her occupation. With her model parameters (the young woman’s height is 175 cm. ), Sophie still feels uncomfortable when thousands of people watch her, and she has to pose for cameras. In 2016, Turner’s fans had many chances to enjoy their favorite’s work: the melodrama Broken Soldier, the biographical drama Mary Shelley's Monster, and the fantastic action movie X-Men: Apocalypse. 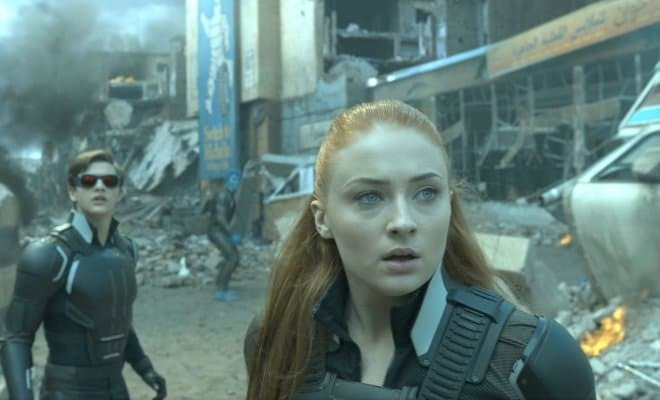 In the latter project, Sophie Turner played the mutant who had telepathic abilities. In 2016, the red-haired favorite of the audience took part in the sixth season of Games of Thrones. In one of her interviews, the actress mentioned she dreamed of playing two movie stars, Marylin Monroe and Audrey Hepburn. The British actress does not like to talk about her personal life. However, journalists claim her relationships develop dramatically. The Hollywood actress has been said to date her colleagues Jack Gleeson and Kit Harington. In 2014, paparazzi often noticed Turner and James McVay, the backup singer of The Vams, together: the couple visited festivals and rock parties. Coming back to London, Sophie would always spend weekends with the man. The couple gave no comments and held public interest. However, the young people split up. In 2015, the rugby player Danny Cipriani became Sophie’s boyfriend. The next year, the actress started dating Joe Jonas, the actor and the lead singer of the pop group DNCE. In October 2017, they announced their engagement. The popular British actress and the winner of many awards frequently appears on the big screen. The young woman participated in the thriller Josie where she played a high-school student who makes friends with Hank (Dylan McDermott), the former death cell guard. The premiere occurred in winter 2018. A year earlier, the actress took part in the seventh season of Games of Thrones; the final season will appear in 2019. The actress continued to work on the role of Jean Grey and starred in the 12th superhero movie Dark Phoenix. The release is planned for February 2019. For this project, Sophie had her hair dyed red; in real life, she is blonde. In 2017, Turner started collaborating with Wella Professionals officially. As the company’s professionals take care of her hair, she does not have to worry about its condition now.